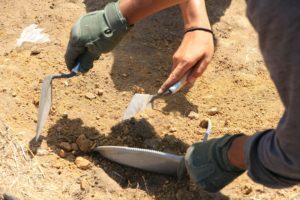 This Sunday, October 14, DANA will be having an archaeological excavation on the rancho grounds starting at 1:30 PM. Dig, sift, brush, observe and record the artifacts that you discover during the archeological dig. This excavation is great for all ages, whether you’re a beginner or a trained archeologist, you’re guaranteed to have a fun learning experience! Sample our areas finest cuisine with beer and wine from local vintners and brewers showcasing their newest release. The event will also feature live music by Akusaa and a silent auction. After hours, sit around a bonfire with a shot of port and a cigar. The event will be held at the DANA Adobe Cultural Center on Sunday, November 11th, at 2 PM. All funds made will go towards developing the exhibits and educational programs at the DANA Adobe Cultural Center. Tickets are $35 per person and $60 per couple. Space is limited; advance reservations strongly suggested. VIP tables available, call Robin at (805) 929-5679 for more details. You can also reserve tickets in person at the DANA Visitor Center or by calling (805) 929-5679. 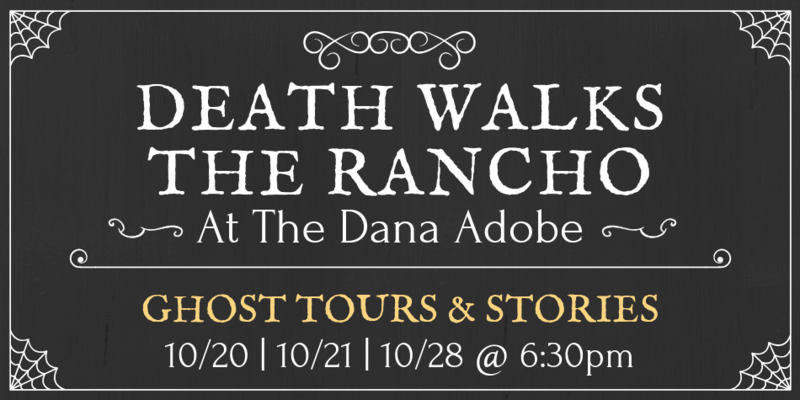 This October, the DANA Adobe Cultural Center will host three evenings of ghost tours featuring chilling reenactments of tragic, terrifying, and TRUE events that took place on Rancho Nipomo during the 19th century. These popular fall tours have been offered for the past two years and remain a favorite with DANA’s volunteers and staff as well as visitors. For our 2018 season, the tours will be led by Death itself—in the guise of the Mexican trickster from 1960s Academy-Award nominated film Macario, based on a short story by B. Traven. Costumed interpreters stationed throughout the property will relate the stories of their own, often grisly, ends. Visitors are invited to come early and gather around a campfire outside our new Visitor Center (opened May 2018) and listen to reports of ghostly sightings from staff and visitors. Some of the stories may be difficult for young listeners; this event is recommended for ages 7 and up. Refreshments and souvenirs will be available for purchase. Price: $15 per ticket, $10 for DANA Members; reservations strongly suggested. Syndicated cartoonist Leigh Rubin’s work will be displayed in the DANA Visitor Center until November 11. 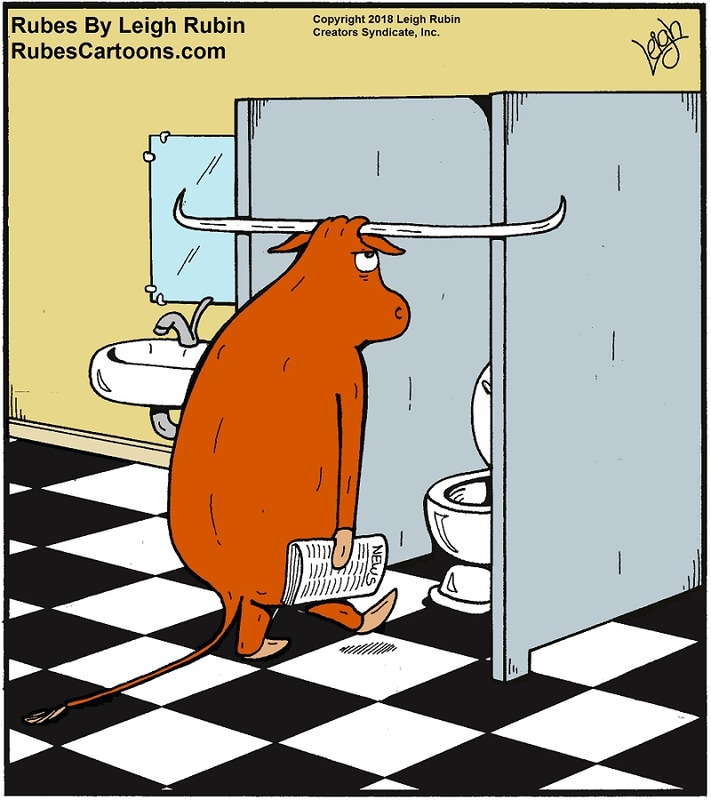 Drawn from his 2016 anthology The Big Book of Moo, the cartoons exemplify the best of lighthearted bovine humor. The exhibition opening reception will take place from 12 to 2 PM on Sunday, September 16 at the DANA Adobe Cultural Center. Dairy products will be served during the reception. Admission is free for DANA members, $5.00 otherwise. Join us at the DANA Adobe Cultural Center for the next entry of our monthly Sunday Speaker Series! Did you know that Sparks Street in Nipomo is named after Isaac J. Sparks? 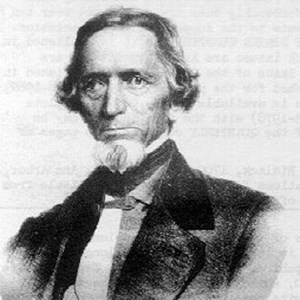 Sparks was known as an otter hunter, merchant, and friend and business associate of Captain William G. Dana. In 1843, Sparks received Rancho Huasna, a 22,153-acre land grant in present-day San Luis Obispo County. His life and rancho will be the focus of the upcoming presentation by Wanda Porter. The presentation will take place on Sunday, September 16th at 2:00 PM. Admission is free for DANA members, $5.00 otherwise. For more information, call the office at 805-929-5679.